You have an underwater civilisation, be they merpeople, octopus people, partially evolved humans or not. One thing that is always considered as a necessity in the development of any society is mining. The problem is that water deflects and slows down fast, slashing movements by friction. The deeper you are, the more the pressure and the less speed you could impart to your swing. QUESTION: So how do you swing a pickaxe underwater with enough force to get to the desired ore? How do you go about developing an underwater society who mine and use mining to evolve their society like man did on land?! Without starting right from the get go from a tech starting point and just say that they used a drill. Even today, most mining is done by excavation wielding slightly improved 'pickaxes' and dynamite. Modern humans existed for 40,000 years at least before the first metals, and the civilizations of Meso-America built vast cities without using metals for anything but decoration. Metals are not necessary to technology. The primary use of metals was as wedges of different forms, e.g. knives, plows etc., but with slow motions like sawing, grinding, raking etc being the primary means of transferring energy, a wedge would not be quite as important. Hydraulic pressure could take the place of wedges when needed, especially if speed was not as important. But, an aquatic species could develop metallurgy using electrochemistry which would be easier to develop in seawater, especially given they have electrical field senses to begin with. Magnesium is abundant in sea water and easy to extract with even primitive electrodes. Both above passages are quoted from the answer I linked. After reading this answer, I don't think an underwater civilization would be very likely to bother with mining. If they did, they wouldn't use picks for the exact reason you described. A water jet or drill (non-electric hand drills can be as simple as picks) would take longer but get the job done. I'd like to point out that the age of steam and the study of thermodynamics was a result of the task of keeping water out of mines. So maybe they won't develop mecanical technology in the same way. But, using air pockets to facilitate mining might be their approach. A pocket of air just enough to swing an axe in, keeping is “head” back away from that; later finding that cavitation, pressure differences, and eventually explosions can be used based around “air tech”. And speaking of cavitation, remember the mantis shrimp. You can strike underwater, with a suitable implement, and impart damaging force to the face in an entirely different way. Here is a good video on it that simplifies some of the science behind it. So how do you swing a pickaxe underwater with enough force to get to the desired ore? Very short stroke of movement with very high acceleration. The technique is to induce cavitation in the water, not hammer the surface. So, it doesn't need a huge mass like a hammer head. The voids implode and can generate an intense shock wave. 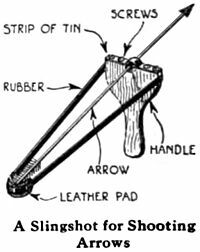 Rather than a long lever like our axe, picture a small slingshot with a wind-up spring to deliver stored energy across the shortest possible stroke. The scaly-food gastropod is a sea snail that has a shell made of iron. Seriously. It's also got iron scales in the foot. You don't have to mine for iron if you can breed them little buggers. You eat the flesh, then you smelt the shell. Other material, like silver and copper, may require some creativity. Use chemistry to separate surface (surface in this case being the bottom of the sea) gold from its substrate, for example. Or you could blow up surface ores to separate them from the substrate, but be careful because any explosions underwater have a far wider blast radius due to water being largely incompressible. Well, hydrothermal vents on the sea floor spew a chemical rich concoction, which contains many minerals. In fact, companies have already considered deep-sea mining. The temperatures in these vents (around 400 C or 750 F) would probably be high enough for basic smelting operations as well. Of course, if your society exists on a planet where relatively evolved over-land societies also exist, the substances that sink down from them (boats, machines, even trash) can act as a starter substance to kickstart their own mining processes, giving them basic tools to begin. Cavitation can be an extremely powerful process, and potentially generated biologically by something on the scale of a whale. Imagine something like a pyle driver, already proven to penetrate sea floor. Slowly lift a dense narrow column of some strong material by whatever method(hydraulics seem most appropriate), then release it(free fall) while rapidly evacuating the area directly beneath the column with something like a whale fluke. Even without true cavitation, pulling a partial vacuum under the column results in the weight of the column plus the weight of all the ocean water above it bearing down quickly upon a single point. In the period during and after the evacuation and before the impact, loose material will be drawn out of the hole, just prior to the hole being sunk deeper. If geothermal is available, a blast of steam into a sealed piston/cylinder will drive the piston out. Lock the piston at the top of its travel and as the steam cools and condenses you will have a powerful vacuum source available to replace the biological. If your octopuses/merpeople head into the shallows, then they can simply pick up the bits of shattered rock that the waves have pounded off the cliffs or bedrock. So their first attempts at mining might be shifting through shingle or picking up boulders when the tide is in. You can rely on water stopping projectiles almost immediately. However, while air is compressible and allows blast waves from explosions to direct around objects, water is not so. The incompressible nature of the water doesn't allow the blast wave to be dissipated. It will pass the massive energy though the bodies of any nearby organisms - killing them. Lets redefine mining - the extraction of valuable minerals. Sea water has a vast amount of dissolved minerals that can be extracted in various ways. Think salt deposits where water is allowed to evaporate leaving the metallic salts. There are other processes using chemical reagents that allow compounds to solidify out of a liquid. There's also a lot of debris that sinks that contains metals (even with corrosiveness of sea/salt water) so "miner" would go in search of these rich deposits to harvest. Not the answer you're looking for? Browse other questions tagged science-based reality-check underwater mining or ask your own question. What kind of weapons would still be effective under water? How could an underwater civilization develop fire? How could water breathing animals have a warm-blooded level of metabolism? What would out-of-water warfare look like for underwater people? How long would it take for humans to develop “tails” for use in water by evolution? How would a huge sexual dimorphism and a short male lifetime of sapient celaphopods affect their society? What phonemes are most recognizable underwater?